Please login to the owner portal. If you cannot find what you’re looking for in the portal, call us at (402) 884-4428. Please login to the tenant portal. If you cannot find what you’re looking for in the portal, call us at (402) 884-4428. Looking for cheap ways to spruce up your home and increase its value? 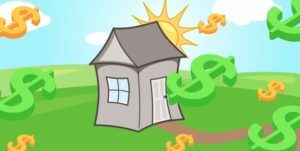 As we continue on from our Part I of the look into Inexpensive Upgrades for Your Home, here is a continuation of our article on inexpensive ways to increase the value of your home without breaking the bank. Read our Part I series on this topic by visiting our Real Property Management Heartland Blog. If you’re looking to upgrade your home to get it ready for sale or for your own enjoyment, consider these top strategies to inexpensively upgrade your home and boost its value significantly. Step up the storage of old houses by creating additional spaces especially for rooms lacking closet space. Measure and redesign your closets systems to bedrooms, kitchen and entry closet. The result is a closet system that is more functional making your home more customized for potential buyers. Spend a few dollars and hire an electrician to do the electrical services such as checking wrap or loose wires, faulty outlets and malfunctioning circuits. You should also get a plumber to check for a fix water leaks, bath systems, and the kitchen sink. This way, a potential buyer will have a feeling that you’ve really taken care of your home. Ensure that your carpet looks cleaner and in good shape. If possible, consider hiring professional carpet cleaning service for thorough cleaning and care. I would suggest covering the carpet with inexpensive, but neat rugs if the carpet is showing serious wear. Do not replace wall-to-wall carpet as it is expensive and new buyers may want to place their own carpet once they move in. You can increase the value of your home by replacing those boring recessed lights in your living and dining room with eye-catching chandelier. Also, make inexpensive ceiling fixtures by purchasing replacement fan blades to make ceiling fan light and desirable. Replace that flimsy small knob on your main entry door with an elegant handle-and-lock set to signal to the potential buyer that this is a solid home. Make your steel front door more appealing by painting or faux finishing it. Apply these inexpensive home upgrades to boost your home value by changing people’s perception of your home instantly. Upgrading your home will add value to your home but also help give you some summer projects to work on whether you do it yourself or hire a contractor.